May 09, 2018, 9:56 a.m.
Back in November I looked at tech brand Huawei ahead of its planned expansion in Europe. Now YouGov data underlines how Huawei has been doing since then, with particular reference to the launch of its new P20 and P20 Plus range, for which the brand launched a worldwide advertising push. Huawei’s marketing efforts appear to have resonated with the UK public. 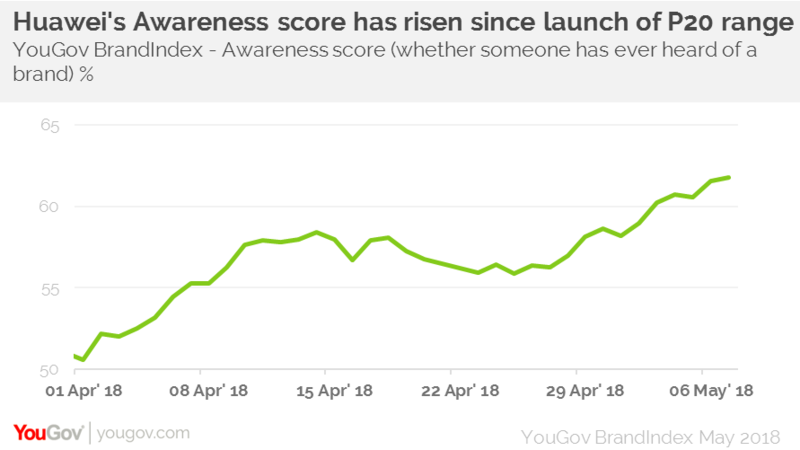 Its ad awareness score (whether someone has seen an advert for the brand) rose from one in the lead up to the release (around 23 March) to eight on the 8 May. One hurdle for the brand in a sector dominated by Apple and Samsung is simply to make people know about it. Huawei’s awareness score (whether someone has heard of the brand) has jumped significantly from 50 to 62 across the same time frame. The P20 Pro is said to feature no less than three hi-tech cameras, large vibrant LCD screens, and a supposedly “staggeringly long” battery life that surpasses that of its rivals. Marketing these qualities may explain why Huawei’s purchase consideration score (whether someone would purchase from the brand when they were next in the market to buy a product) increased from seven before the P20 campaign to 11 now. Among those who are currently in the market for a new phone, purchase consideration has gone from eight to 15. Huawei still faces a tough challenge cementing itself as a key player in the European smartphone industry. However, while it is unlikely that people will leave Apple and Samsung for it in their droves, the brand is clearly popular among its current customers with 76 per cent of people currently owning a Huawei device saying they would recommend it to their friends and family. Huawei’s push into European territories combined with the expansion of its marketing strategy has boosted both the brand’s awareness and its public perception in Britain. 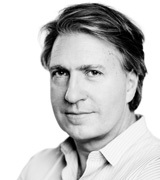 While it may be unrealistic to expect it to challenge huge industry giants straight away, chipping away at market share may well be achievable.